I've driven by this location many times knowing it was the old homeplace of Woody Guthrie and his family. I never notice the foundation until the recent clean up. This is the view from 1st street, the front of the house. It amazed me when I saw this beautiful foundation. It had generations of rumble, waste and neglect on top of it yet underneath was this beautiful native Oklahoma stone. We all have a little clean up to do. Underneath all the rumble is a beautiful foundation. Sometimes we just have to dig. Sometimes we have to dig hard. One time I was working on something for my daughter. She was getting frustrated with my ability. I told her I was doing the best I could, which she responded, "you can always do better". I love it that my kids are smarter than me, well sometimes. If you don't keep any of your New Year's resolutions that is okay. Just keep working at it. Always remember that underneath all that rumble and down to the native stone is a child who will do incredible things and influence generations. It is your job, our job to keep building the foundation, keep it moving forward. P.S. The rebuilding of Woody Guthrie's childhood will be featured on Discover Oklahoma January 18, 2014. P.S. again: Please forgive me if it sounds like I am rambling. I'm a mom, enough said. It's Back! Who Do You Think You Are? Are you as excited as I am? Is your DVR set? Our favorite show is back. The season premiere of Who Do You Think You Are? is tonight at 8/9 central on TLC.com. It is hard to believe the last time I saw the show was May, 2012. It feels like forever. My kids like to watch the show too. My son always says, "let's find out who her mama is". It is great that they are starting with Kelly Clarkson! I can't tell how many times we have watched her episode on the Reba show. It appears from clip of the show that Clarkson has a Civil War connection. I've hit many roadblocks in my family history due to this war. After the show I always check my Ancestry.com account. The show always sparks a new interest in family history research. 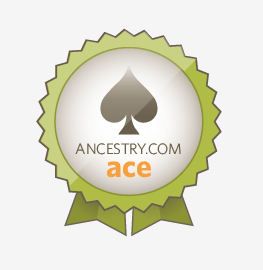 I'm part of the Ancestry.com DNA project and I have been surprised by the connections. I'll let you know and begin another Territory Mom's Who Do You Think You Are? Daniel T. Reidemann of 19th Century Restorations reconstructs many celebrity homes. 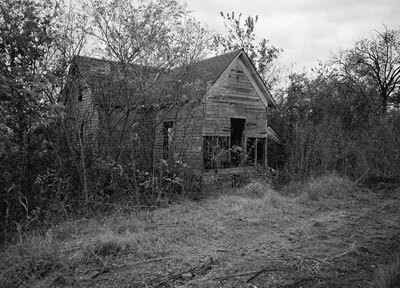 Soon he will be rebuilding Woody Guthrie's childhood home in Okemah, OK. In addition to the rebuilding of the home Mr. Reidemann will also be doing a documentary showing the process which will include many people but especially, Arlo Guthrie as lead carpenter. The project is accepting donations through Kickstarter.com-Woody Guthrie. They need $93,000.00. I'm sure this project will be fully funded. Check out the above Kickstarter link for more information and to be a part of history. Soon 301 S. 1st Street, Okemah, OK will have a home on it again. Happy birthday, Ma! It was another Oklahoma tornado week. Well, it is your first birthday in Heaven and I know you are relieved you don't have to go through the process of acting excited when you opened your presents. You were a great actress. Those new arrivals from Oklahoma on Sunday and Monday were due to those wild Oklahoma tornadoes that swept our state yet again. I know you and Bake were excited to get some new church members. I can hear you guys laughing and clapping upon their arrival. Those sweet little children will be so thrilled to be in your children's church. I can see the joy on their faces when they learn new songs and listen to your very animated Bible stories. What a fun VBS you guys are going to have this summer. I've been struggling with my words lately. As you can see I haven't blogged in quite some time. It has been one of those seasons, but I can't let today go by without a few words. I turned 48 this week. A week of destruction, tragedy and memories. It is hard to believe I was only 30 years old when it happened. Each year I remember something new about that day and the weeks that followed. This year I remembered the interview of Rebecca Anderson's sister. I can't remember the exact words but her sister said that Rebecca really helped her to get her life on track, just helped her get it together. Rebecca was the selfless nurse who had her husband drop her off at the site immediately following the incident so she could help. She was fatally injured from falling debris. She gave her life to help others. Amazing woman. I'm sorry I have no more words for today. There is nothing more fun than an early morning chase. Oklahoman, John H. Ingle died on September 16, 2012. 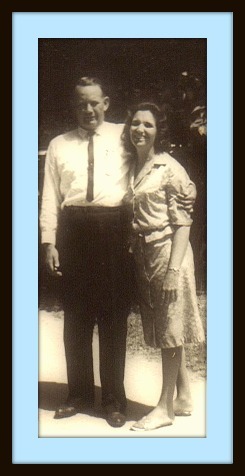 He was born in Tulsa, Oklahoma on May 7, 1928 to John Cisney Ingle and Myrtle Hoyle Ingle. 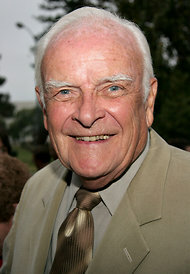 You know him as Edward Quartermaine the family patriarch in the long running soap, General Hospital. I should have written about Mr. Ingle sooner but I was waiting for the soap to pay tribute and now it will. Today's and Wednesday's episodes will pay tribute to the charachter, Edward Quartermaine. Another reason I haven't blogged about this is that I have also been a little distraught over Steve Burton leaving the show. I'll keep my misery to myself for now. Now to Mr. Ingle. His bio states that he was born in Tulsa. According to Ancestry.com he was living in Wewoka with his family at age 2. According to the 1930 census his father, John was a salesman for an oil company. 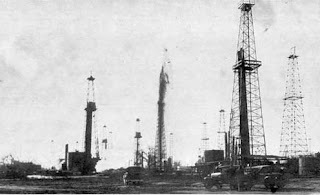 Remember your Oklahoma history the Seminole area and the entire Seminole County was in a major oil boom at this time. John was the baby of the family with three older sisters, Mary Agnes, 15, Pansy Edith, 14 and Hattie Marie, 12. When John was 11 years old the family was living in Poteau in 1940. I believe the family was there to be close to his grandmother, Mary Hopkins Hoyle who died in 1941. While living in Poteau his father was a time keeper for the WPA. From oil company to the WPA definitely a sign of the times. When he was a teenager the family moved to Tujunga, California. John attended Occidental College majoring in theater. This is where he met his beloved wife, Grace-Lynne Martin. 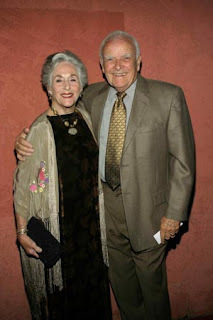 His lovely wife predeceased him in February, 2012. The above photo is blurry because you can not copy photos from ancestry.com so I took a picture of it. You do what cha gotta do. Anyway, Mr. Ingle was a English and drama teacher at Hollywood High before becoming an actor. His students included, Richard Dreyfuss, Nicholas Cage, Barbara Hershey, David Schwimmer and many others. Upon his retirement from teaching he became an actor and we are so thankful. He played an onry character on General Hospital but in a comical and endearing way. This creative Okie will be missed. Child of God, wife, mother, family historian, seamstress, gardener, artist, crafter, etc., etc. "the finest land a crow ever flew over"
to escape religious persecution, the government, ex-wives and a bounty. Some hid out in the woods in Indian Territory until statehood, others just hid out. My people immigrated to Oklahoma from Arkansas, Missouri and Texas. My Oklahoma roots run deep from Miami to the Red River. Here is a little of our journey with a few detours. All content exclusive Copyright 2008-2011 Territory Mom. Travel theme. Powered by Blogger.